Fig. 19 Example of the Job Composer App displaying jobs generated from templates. 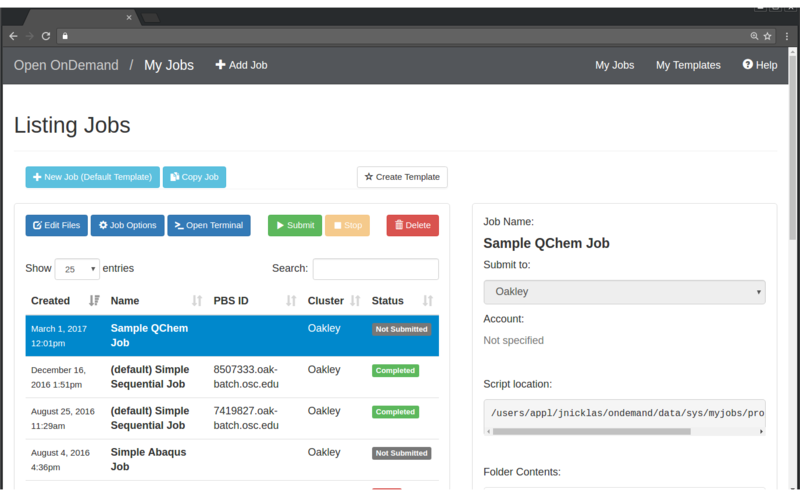 This Open OnDemand application provides a web-based utility for creating and managing batch jobs from template directories. This application is built with the Ruby on Rails web application framework. The user can then modify these input files and then submit the job. The Job Composer app also provides integrated support for launching the Files App in the currently chosen job or template, giving the user a web-interface for modifying the files in the directory. It also provides support for launching the Shell App in the job directory for direct access to the terminal when needed. Launches the Job Composer App web-based utility. Fig. 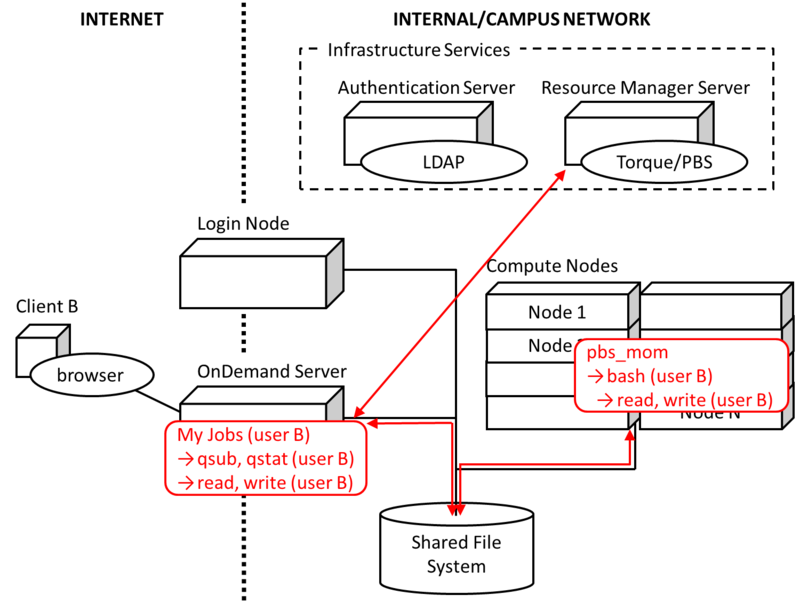 20 Diagram detailing how the Job Composer App interacts with the HPC infrastructure. Fig. 20 details how the Job Composer App works on a local HPC system. The user’s PUN running on the OnDemand Server launches the Ruby on Rails Job Composer app through Passenger as the user. The Job Composer app reads from a database all the previous recorded jobs. It then queries the Resource Manager Server using either a library call or fork’ing a binary (e.g., qstat) and parsing the output for the status of all the remaining jobs, followed by generating a table of information that is displayed to the user. For the currently selected job it will access the Shared File System to display information about the contents of the job directory (e.g., input and output files). For job submission the Job Composer app will communicate the job submission and its arguments to the Resource Manager Server again through either a library call or fork’ing a binary (e.g., qsub) and parsing the output for the job id.